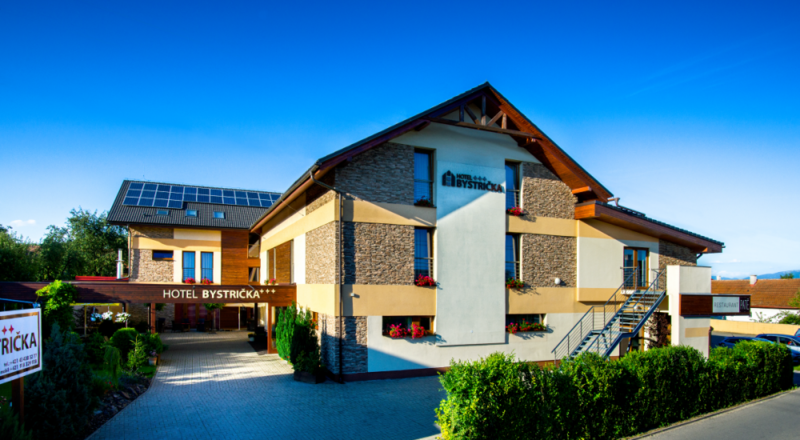 The hotel Bystrička is a suburban business hotel, which is easily accessible from the centre of Martin. As for the connections of roads and regions, the location predetermines the hotel to be a pleasant place to stay not only for travelling salesmen but for other guests and tourists too. The stylish and modern interior of the hotel and rooms, the professional and pleasant staff, the hotel wellness centre, rich gourmet experiences in the restaurant PATÉ, the bright congress hall for training purposes, celebrations, weddings, the attractive exterior with a garden seating on the terrace and a pond, free Wi-Fi connection and free hotel car park, all of that predetermine the hotel to be a good place to choose and why to come right to our place. 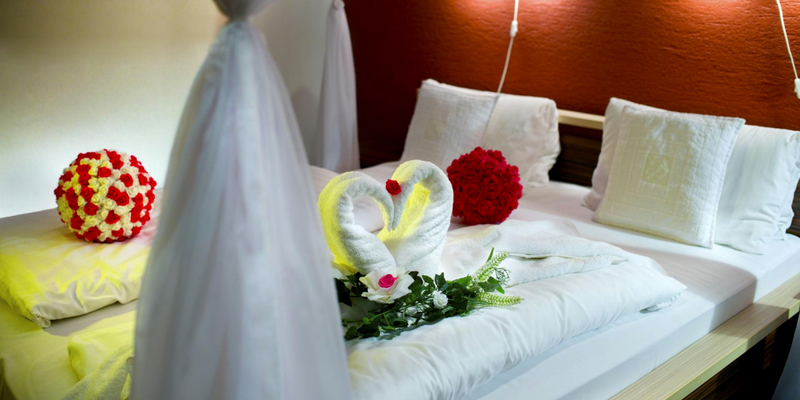 The hotel Bystrička offers comfortable accomodation in 23 rooms of STANDART, LUX and three-bed room categories, a room for disabled guest and two apartments. The hotel Bystrička is a non-smoking hotel. On the hotel premises, there is a stylish restaurant called PATÉ which offers delicious international and Slovakian cuisine to its guests. Our chefs prepare food with love and culinary art so that you would love to come back for another gourmet experience. A proof of our chefs‘ culinary art is also an award which the restaurant PATÉ won for the second best restaurant in Žilina region in 2017.